This is my first blog for 2016, and once again I want to thank all my readers and wish them a Happy New Year. A little late, isn’t it? But my wishes are sincere. Today I want to honor a friend that died many years ago. His name was Jack Urban. He was an optical and mechanical engineer. He developed many instruments for the House Medical Group in Los Angeles, including accessories for the surgical microscopes. But Jack was not the type of person from whom you would simply “order” something. He would come to the operating room so that he could understand what the surgeon wanted. And then he would manufacture a prototype and would again enter the operating room to see how it worked and whether he had to make any changes. Today many manufacturers of medical instruments sell “microdebriders,” often called “shavers.” These are instruments designed to cut and suction small bits of tissue. The first of these instruments was built by Jack to help Bill House remove the central portion of acoustic nerve tumors. 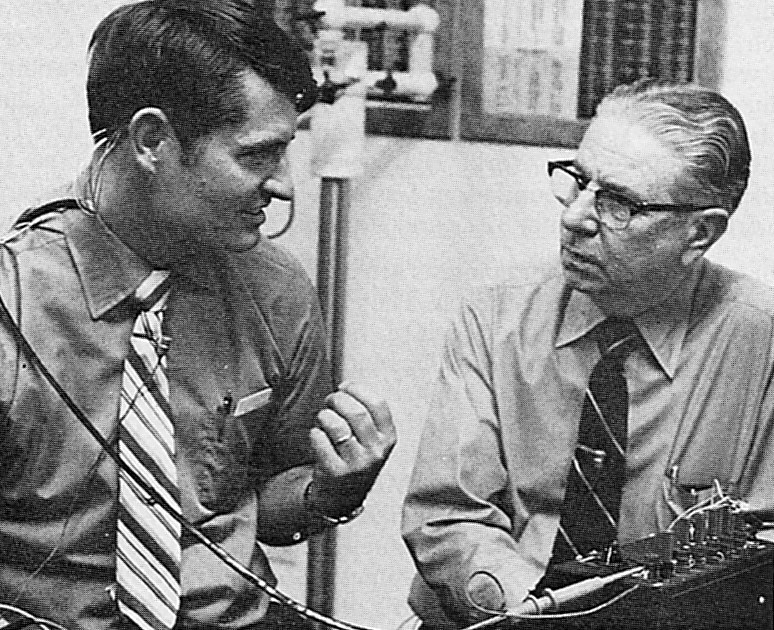 Jack was also intensely involved in developing the early cochlear implants, together with Bill House. But Jack did many, many other things. As far as I know, he was the only manufacturer of diving masks with prescription lenses, particularly indispensable for divers with visual problems. You may have seen a movie theater in Disney World called Circle-Vision 360 degrees. You ought to know that Jack Urban was the man who synchronized both the cameras and the projectors to make the system work. The nine cameras were easier to synchronize, since they were on top of an automobile and their motors were fed by additional 12 volt batteries. But the projectors were very difficult. We all know the usual electric current is alternate and in the United States a 60 Hertz period is the standard for AC current. What you may not know is that the 60 Hertz period is not very precise. It oscillates, it may be 58 or 59 cycles in a moment and 61 or 62 in another. Since the 360 degrees’ system uses nine projectors, you can imagine what would happen if they were not perfectly synchronized. What he did was build rectifiers to change the 117 volts current to DC and then use electronic systems to reconvert it to perfectly stable 60 Hertz AC. Do you remember the 8 channel tape cartridge that was common in cars in the 1950’s? He was the man who succeeded in making them work. I remember a night in which both Jack Urban and I were invited to dinner at Jack Pulec’s house. Jack Pulec was an excellent physician and a very good friend. Marlene, Jack Pulec’s wife, gave us a delicious dinner and then we talked for about three or four hours. And Urban told us of his beginnings in Los Angeles, before he was able to build his sophisticated optical and mechanical factory in Burbank. He started as a General Motors representative in Beverly Hills. He told us that one day two famous Hollywood stars came to him to find a solution to their problem. They had a child with a central nervous system disorder and one day, as they were riding in their car, the boy, sitting on the back seat, opened the door and fell from the car. He fell on bushes and was not harmed. But the couple were very scared. They wanted to know whether Jack could make the automobile’s rear doors safer. He then developed the button that locks the doors, which some cars still have today. He did not, however, make any money from this invention. His contract with General Motors automatically led the patent to GM. But he did make money for himself while working for GM. Those were the Prohibition days, and there were groups of gangsters distributing alcoholic beverages in Los Angeles. Members of one of these groups asked him to create hidden spaces in their cars so that they could hide their guns. They told Jack that they would never use the guns to shoot policemen, they needed them just to protect themselves from other gangs. But often the police would stop them and search their cars. And, of course, carrying guns was definitely illegal. In fact, the police searched these cars many times. But they never found Jack Urban’s hiding place. 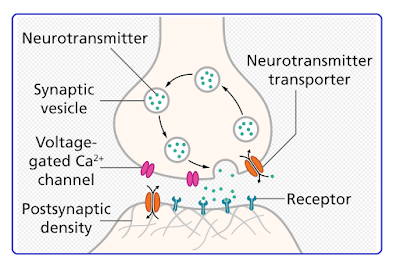 In the nervous system, a synapse is a structure that permits a nerve cell to pass an electrical or chemical signal to another nerve cell. The word comes from the Greek synapsis, which means “conjunction”, and was first employed by the English neurophysiologist Charles Sherrington in 1897. When I arrived in Saint Louis in 1958 and began to spend some afternoons at the Central Institute for the Deaf, Dr. Donald H. Eldredge – a neurophysiologist and also a good friend – told me a story concerning the synapses of the cochlear hair cells. Antonio Maria Valsalva was an important Italian physician that was born in Imola in 1666. He was a contemporary of Newton, Bach and Molière and, following the traditions of his time, was educated in humanities, mathematics, and natural sciences. After his studies of the liberal arts, he studied Medicine and Philosophy at the University of Bologna, where he was a disciple of Marcello Malpighi, the founder of microscopic anatomy. Malpighi deeply respected Valsalva, who was his favorite student. And Valsalva was a great admirer of Malpighi. Valsalva graduated from the medical school in 1687 and in 1705 was appointed Pprofessor of Anatomy at Bologna. He was later chosen as President of the Academy of the Sciences. 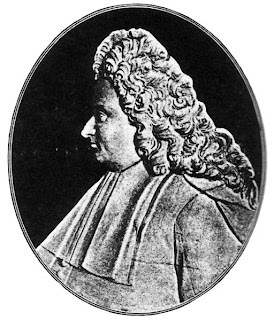 His most important disciple was Giovanni Battista Morgagni, who edited Valsalva’s complete writings and published a biography of Valsalva in 1740. On April 14, 2015 I was awarded the title of Professor Emeritus of the Escola Paulista de Medicina – EPM (São Paulo Medical School). This was my medical school. As they say in the United States, my Alma-Mater. My father was one of the founders of this Medical School, and I decided that this would be the school in which I would study Medicine. I spent six happy years there and graduated in 1955.